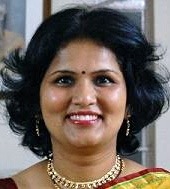 Ebiquity Ph.D. student Karuna Joshi has received a IBM Ph.D. Fellowship award for the 2011-2012 academic year. Ms. Joshi's dissertation involves developing a new framework for automating the configuration, negotiation and procurement of services in a cloud computing environment using semantic web technologies. She is working with co-advisers Professors Yelena Yesha and Tim Finin. The IBM Ph.D. Fellowship Awards Program is highly competitive and selects exceptional Ph.D. students who have an interest in solving problems important to IBM and their disciplines of study. The award provides a generous stipend and an education allowance covering tuition and other educational expenses and is renewable for up to three years.